The Hollywoodland sign's construction was started in about late October 1923 and finished during the first week of December, 1923. It was first illuminaated on December 8, 1923. 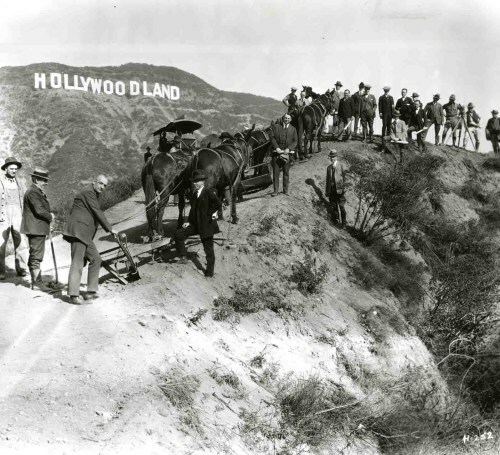 Sometime in December 1923, Harry Chandler and others dedicated the newly constucted Hollywoodland sign. 1924: Tthe Hollywoodland sign at night. The sign was illuminated with 3,700 ten-watt bulbs. 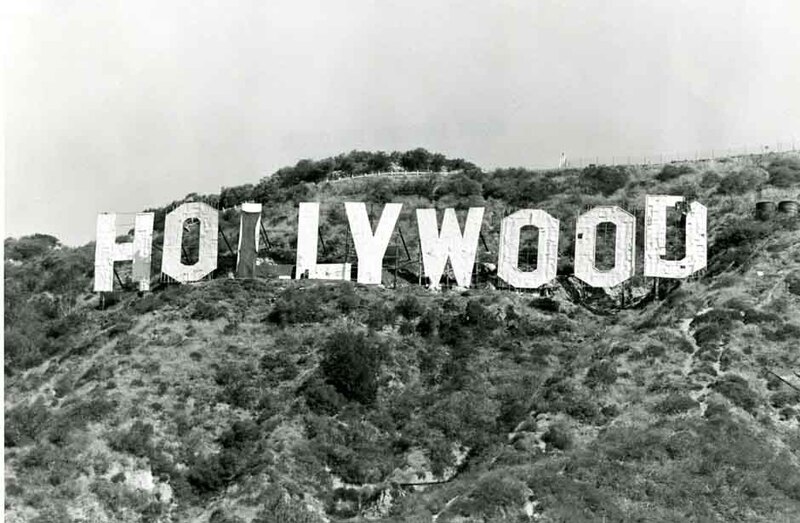 Some of the most popular photos of Hollywood are of the Hollywood sign. For some unknown reason, the Hollywood sign has become a true Hollywood icon. 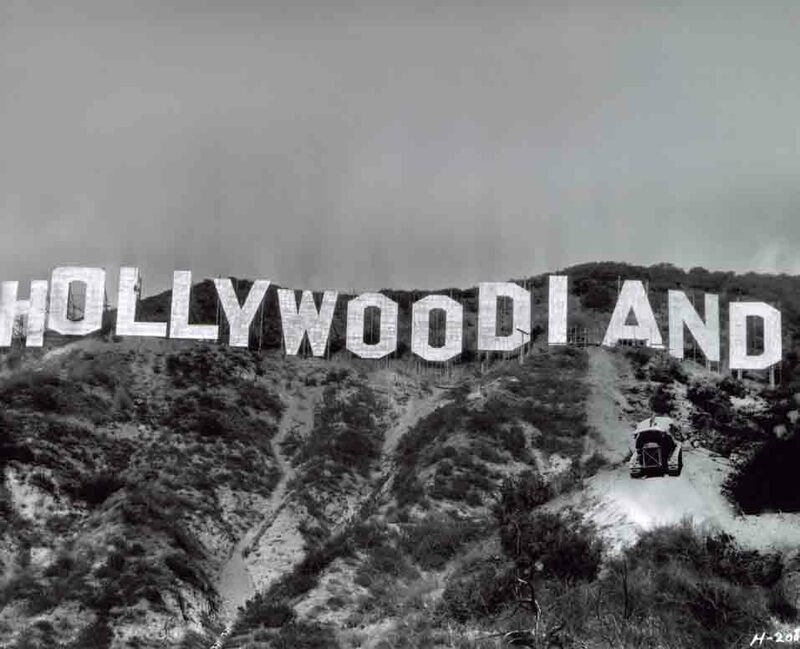 During the past ten years, the hollywoodphotographs.com website has sold more than 500 vintage Hollywood Sign photos. Some have been actual prints but most have been digital images. 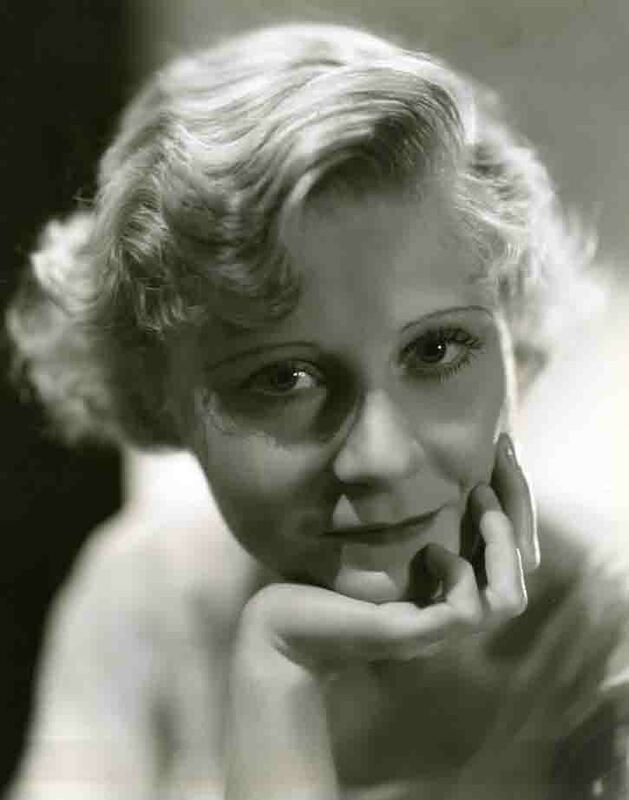 Hollywoodphotographs.com is the largest collection of Hollywood photos. 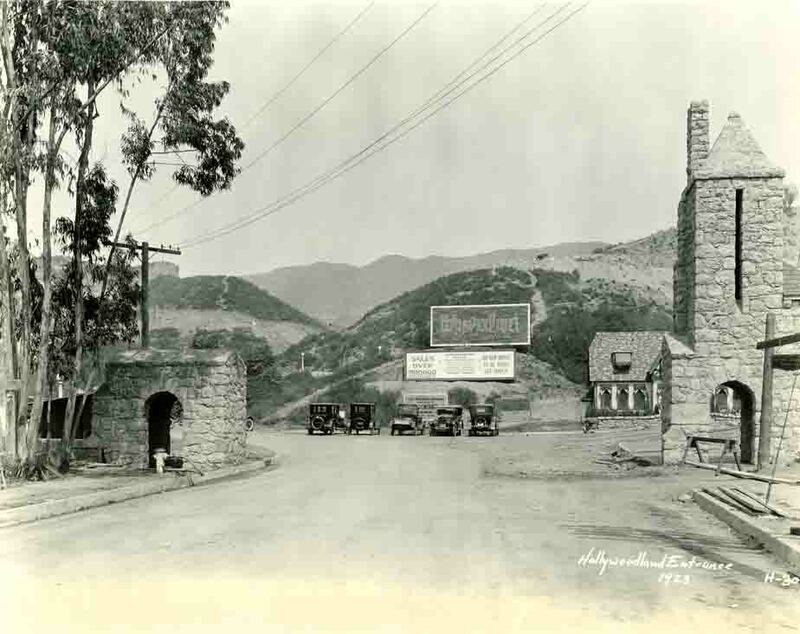 As most people know, the famous sign originally read HOLLYWOODLAND which was erected in 1923 as an advertising gimmick for the real estate development, of the same name. 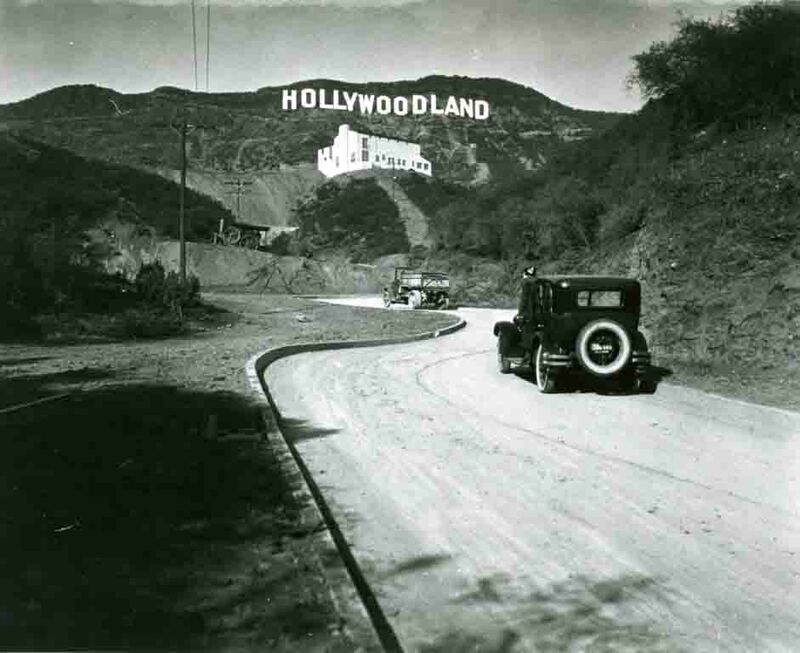 The largest collection of Hollywoodland Sign and the Hollywood Sign are on the hollywoodphotographs.com website. 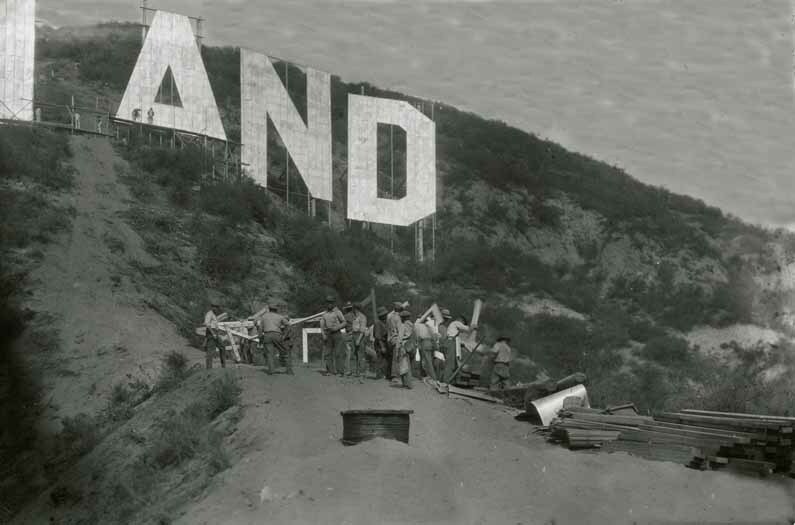 There are more than 500 vintage Hollywoodland Sign and Hollywood Sign photographs in this large collection. 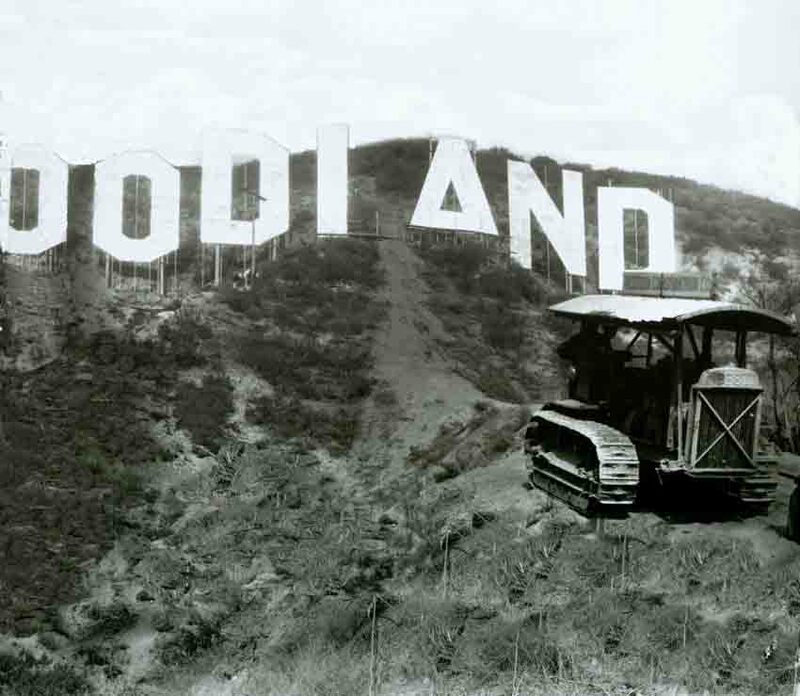 Construction of the Hollywoodland Sign began in October 1923 when the Hollywoodland Development Company decided they needed an advertisement gimmick to attract buyers to their tract. 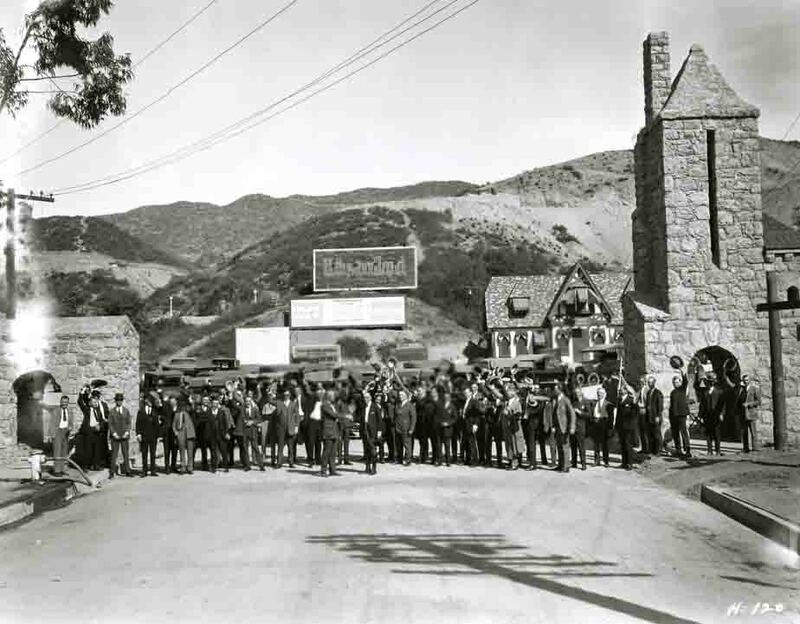 The Hollywoodland sign, which was erected in 1923, was lighted from the time the sign was completed. 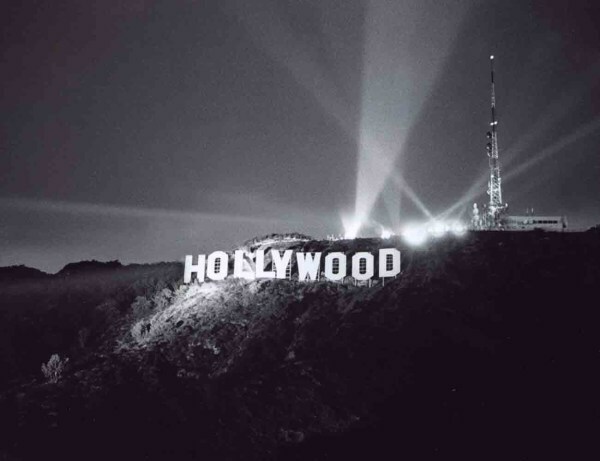 It wasn’t until photos in the hollywoodphotographs.com collection were examined that it was confirmed that the sign’s lights were installed during the last days of the sign’s construction. Some of the photos show work men carrying lighted boxes up the hill to be installed around the perimeter of each letters. It should be pointed out that a test letter was erected to the east of where the sign was eventually erected. The Hollywood sign is one of the most iconic symbols of Hollywood. It’s history span more than ninety years and has undergone many changes. 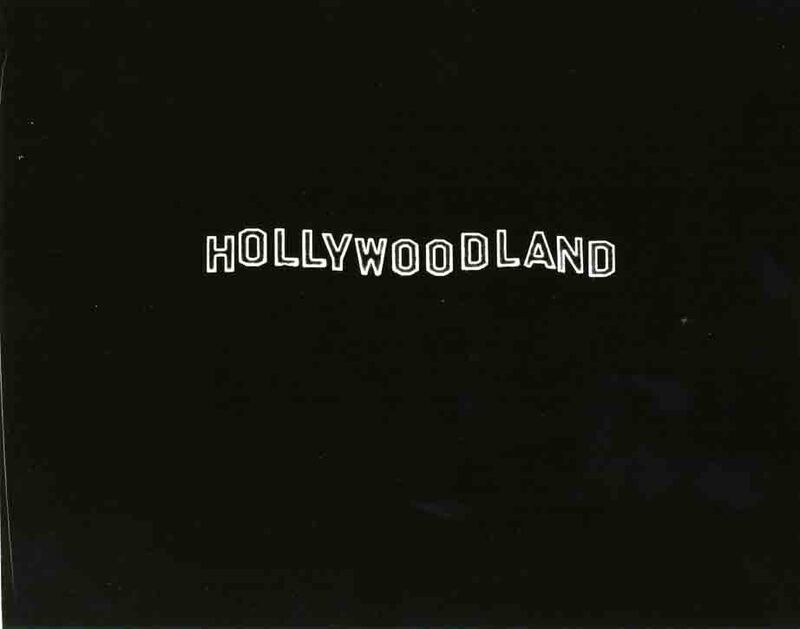 Most people don’t know that the sign originally read HOLLYWOODLAND and was intended to be an advertising sign for the real estate development, with the same name. The owners of the Hollywoodland real estate tract, decided they needed a gimmick that would attract potential buyers to their development. In 1923, construction began on the sign and within a few months, it was completed. All of these photos are from the hollywoodphotographs.com website. It is the largest collection of Hollywood photographs. 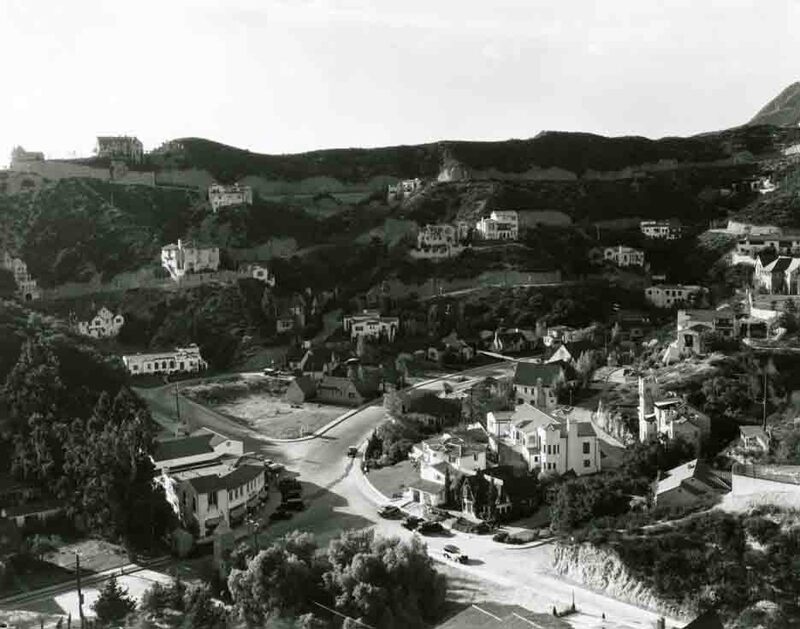 The largest collection of old Hollywood sign photos and images is the hollywoodphotographs.com website. Erected in 1923, the Hollywood sign has long welcomed aspiring actors looking to make it big in Los Angeles. 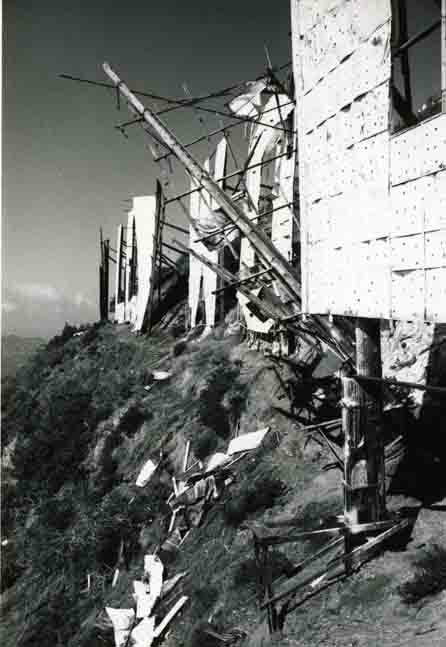 And despite decades of run-ins with vandals, pranksters and developers, among others, it has managed to hang on to its prime location near the summit of Mount Lee in the Hollywood Hills. Last year the sign celebrated its 90th birthday, here are some things you may not know about how it came to be, and its brushes with disaster. 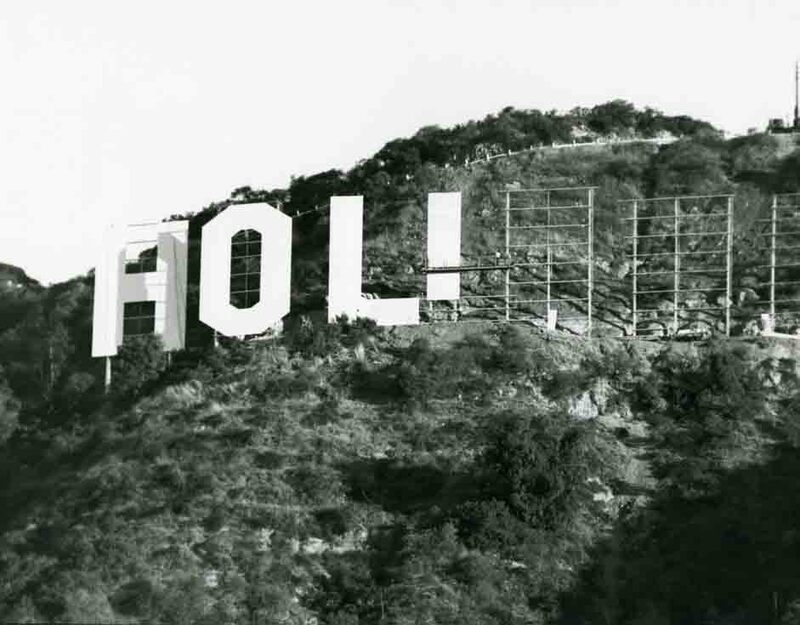 The hollywoodphotographs.com website has hundreds of old Hollywood sign photos and all are available for purchase. 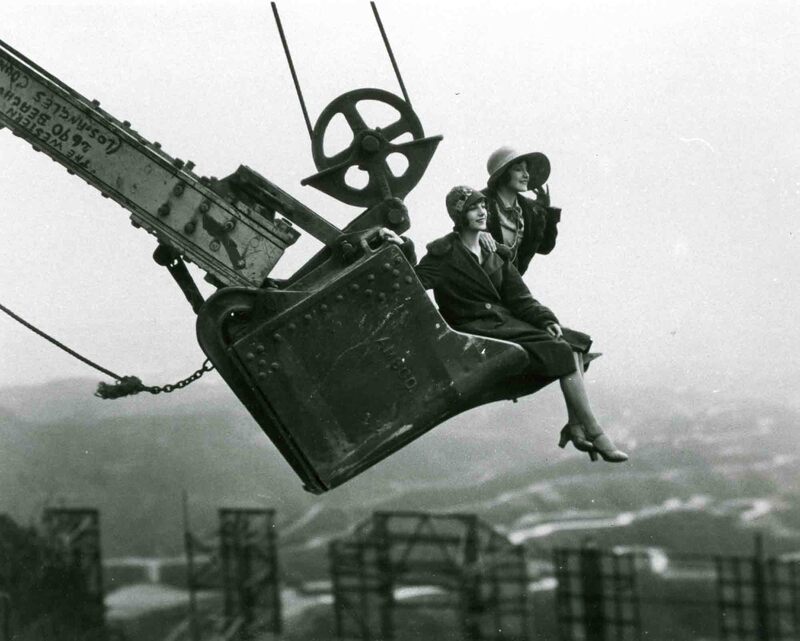 Hollywood, which by now represented not just a city, but also an industry, a lifestyle and, increasingly, and inspiration, was officially crowned when the Hollywoodland sign was erected in 1923. Built by Los Angeles times publisher, Harry Chandler, as an epic $21,000 billboard for his upscale Hollywoodland real estate development, the sign took on the role of a giant marquee for a city that was consistently announcing its own gala premiere. When people around the world see the Hollywood Sigh on the Mt. Lee hillside, they usually think glamour, excitement and movies. The real history of the sign is decidedly more grounded than this popular belief. Ninty years ago, the sign was built as an advertisement for a new hillside real estate development following in what became a long standing Los Angeles tradition the sales and marketing of its real estate. The Hollywood sign is the most recognized sign in the world. Originally constructed in 1923, the sign read Hollywoodland because it was built to be an advertising sign for the Hollywoodland real estate development at the sign’s feet. The sign was constructed using fifty-foot telephone poles as the main supports. Wooden beams and guide wires tied the sign together and then faced with sheet metal. For the first two years, the sign was lighted with 4000 incandescent light bulbs, which were replaced by Albert Kothe, then bulbs burned out.